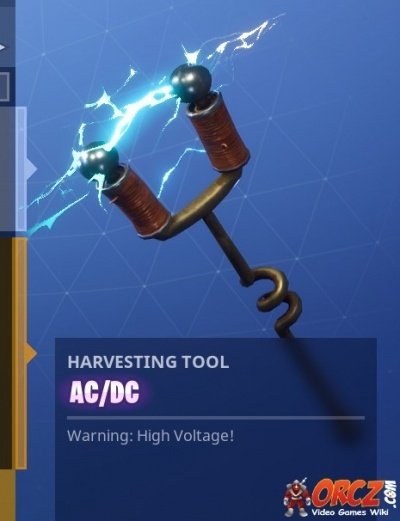 AC/DC is the name of one of the Pickaxe Skins in Fortnite Battle Royale. This pick axe is a premium tier 63 Battle Pass reward. You have to purchase the Battle Pass and level it up to tier 63. This page was last modified on 22 May 2018, at 11:22. Content is available under Creative Commons Attribution Non-Commercial Share Alike unless otherwise noted.